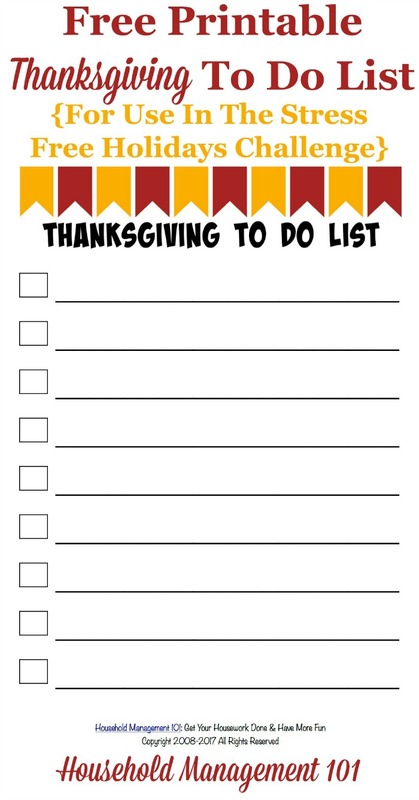 Here is a free printable Thanksgiving to do list that you can use to track the tasks you need to accomplish before the holiday. 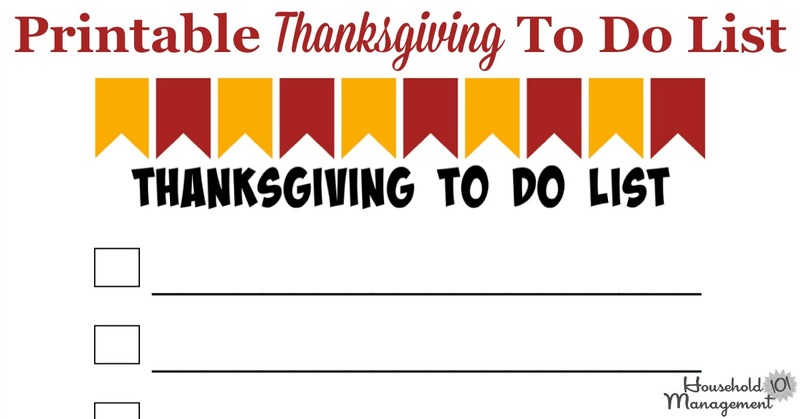 As part of the Stress Free Holidays Challenge here on the site, we're slowly getting ready for each of the holidays this season, and in November we're focused on Thanksgiving. 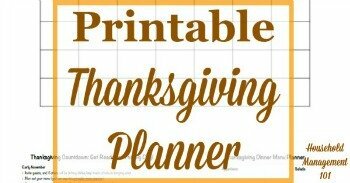 This printable is designed to help you write down both tasks I suggest each week, as well as any you personally want to add for yourself and your family, to make celebrating Thanksgiving fun and stress free for your entire family.